She even rented a suite at the Peninsula Manila to shoot her audition tape. It's confirmed! 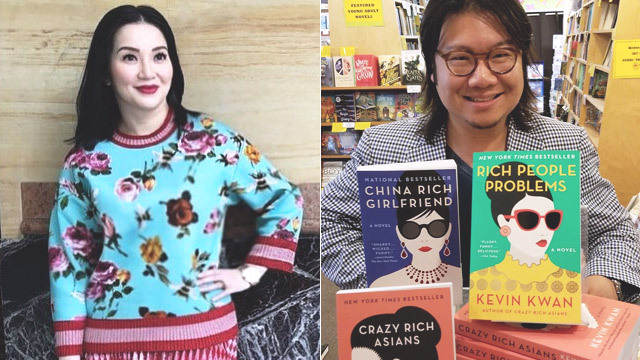 Kris Aquino is Princess Intan in Crazy Rich Asians, the Warner Bros. movie adaptation of Kevin Kwan’s best-selling novel of the same name. As early as April 2017, in a phone conversation with Jo-Ann Q. Maglipon, editor in chief of PEP.ph, Kris spoke of how her Hollywood stint came at just the right time in her life. Kris said she got the part of a Singaporean who is “billionaire-level rich” in a movie that is about Asian families so ultra-rich they are a well-kept secret. She admitted that being in a Hollywood movie was a real thrill for her, particularly because she got the role on her own. It happened when there were so many doors that closed and a lot of things didn't go her way in terms of her showbiz career. 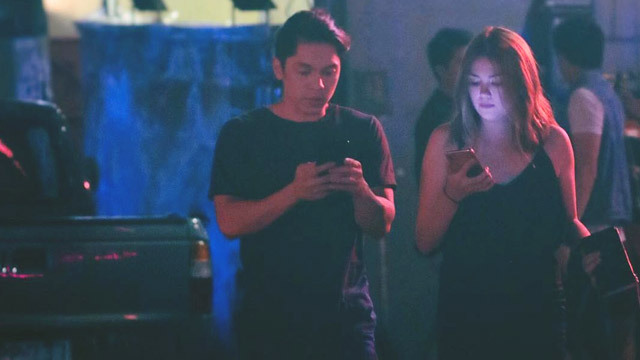 At the time, she had yet to officially launch her venture into the digital platform via her own company Kris Cojuangco Aquino Productions (KCAP). “It was a cold call," she narrated to Jo-Ann. "They didn’t know me. They knew the last name, but they didn’t know anything. "They didn’t know my body of work, so pinadala, and then I auditioned. Crazy Rich Asians is based on the first novel of a trilogy authored by Singaporean-born Kevin Kwan. The novel, published in 2013, landed on the New York Times' best-seller list. Kwan, now an American citizen, followed this up with China Rich Girlfriend (2015) and Rich People Problems (2017). 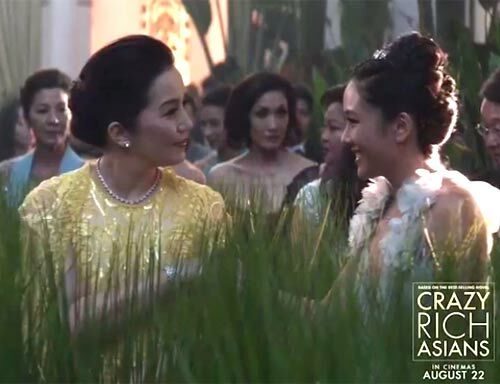 In the movie version of Crazy Rich Asians, Kwan is also an executive producer. Directing the movie is Jon M. Chu, better known in the Philippines as the director of Hollywood movies Step Up 2: The Streets, Step Up 3D, and Now You See Me 2. Kris recounted how she attacked the audition phase: she went all out. “They sent a script, and you have to act it out," she revealed. "So, pina-production design ko para magmukhang authentic talaga." By "authentic" she meant loading up on the luxe trimmings. 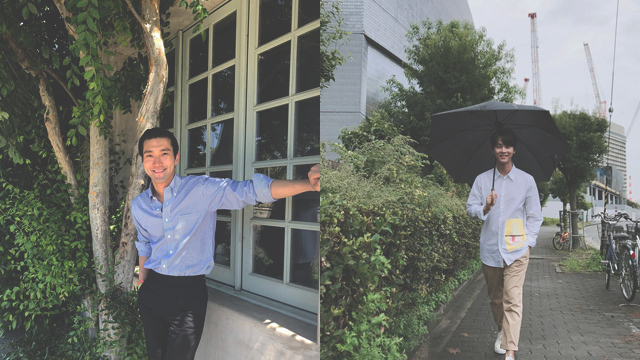 Saying the character she was auditioning for was ultra rich, Kris booked a luxury suite at The Peninsula Manila and transformed it into her vision of a rich Singaporean woman's digs. But first, she organized her A-team of house stylists, technical consultants, beauty stylists, and so on. By her count, "There were 20 people who worked on that audition with me!" The whole day of March 25, 2017, a Saturday, she had them fixing the suite as well as fixing her. “Lahat ng mga Hermés na plato ko at tea set, ginamit! As in, couture ang sinuot ko talaga! “Then, my online team did the Kris bio in video format, kasi they needed it for TV, e, with voiceover. “Because they need to know who you are, hindi naman nila ako kilala dun. The blitzkrieg effort produced an audition video by 12 noon of March 26, or the very next day, which was the deadline. The entire audition process itself, by Kris's telling, was demanding and multilayered. “Four layers bago ka dumating doon." By March 29, Kris got word that Crazy Rich Asians' director Jon Chu had already seen her audition video, and by April 5, she had gotten the confirmation that she landed the role. Congratulations, Kris! We can't wait for the movie.